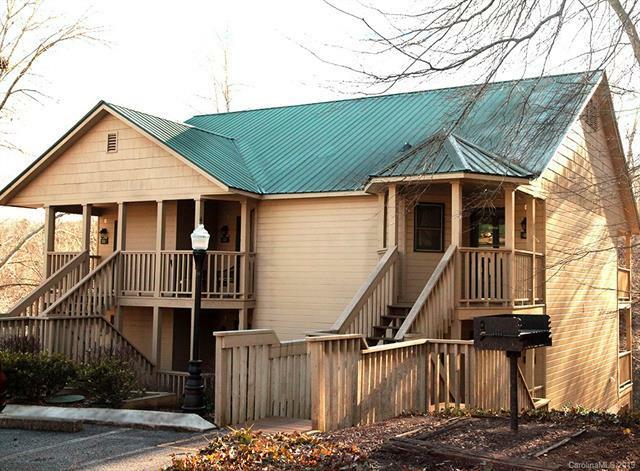 160 Whitney Boulevard #24, Lake Lure, NC 28746 (#3473918) :: Robert Greene Real Estate, Inc.
Upper level end unit! 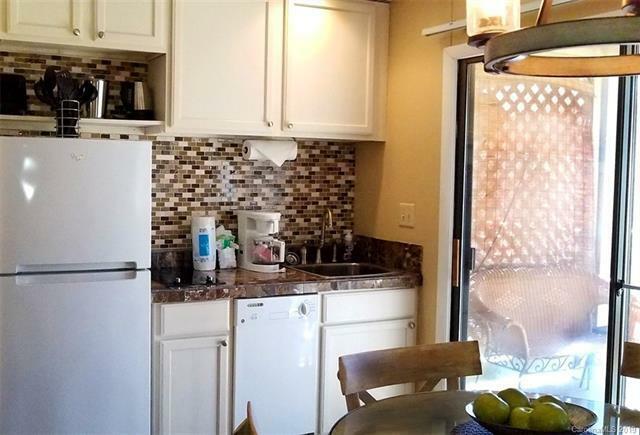 Well-decorated, fully furnished studio condo at popular Apple Valley Villas. Mini-kitchen, great room/bedroom. 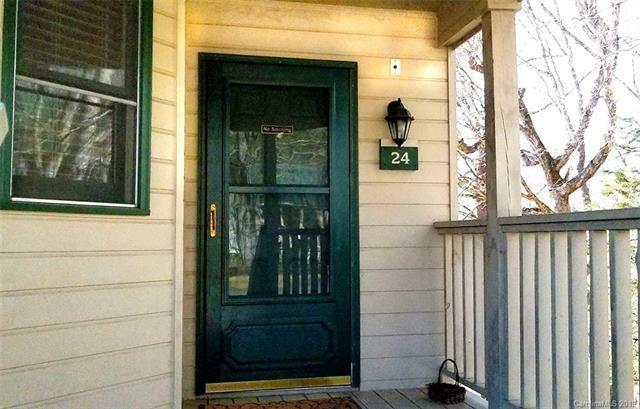 Sit on the back covered deck overlooking a wooded area with winter mountain views. Monthly HOA fee includes water/sewer, garbage pick-up, building maintenance and grounds care, street lights. Conveniently located across from Apple Valley Market and Luna del Sol restaurant. 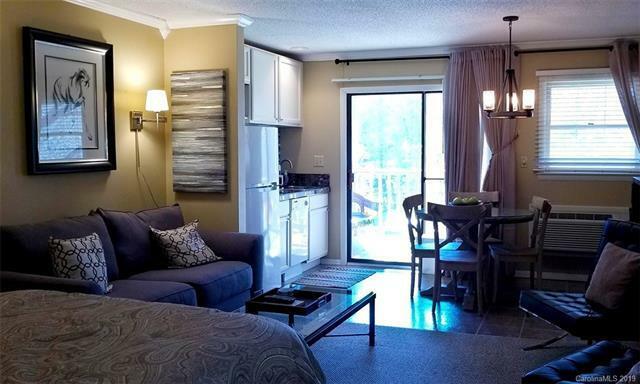 Enjoy all amenities of Rumbling Bald Resort including a beach on Lake Lure, three pools, a fitness center, tennis courts, outdoor chess, mini-golf and more. Boat and watersport rentals available at the Resort Cabana. This is a great weekend getaway or vacation rental. POA fee $3,579 annually (in addition to monthly HOA fee of $180). A one-time resort initiation fee of $5,000 is due at closing.